Optimum Gloss-Coat is a semi-permanent coating that protects various parts of your vehicle against the elements of nature. 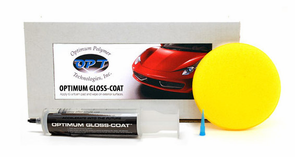 Optimum Gloss-Coat is designed to be applied to painted surfaces, wheels, plastic trim, bumpers, aluminum, and chrome, providing the utmost in protection and shine. Optimum Gloss-Coat leaves treated surfaces smooth, slick, and well protected in any environment. A single application lasts up to three years. Optimum Gloss-Coat forms an extra layer of clear coat over your vehicle, significantly increasing the gloss, slickness, and resistance to etching caused by harsh detergents. 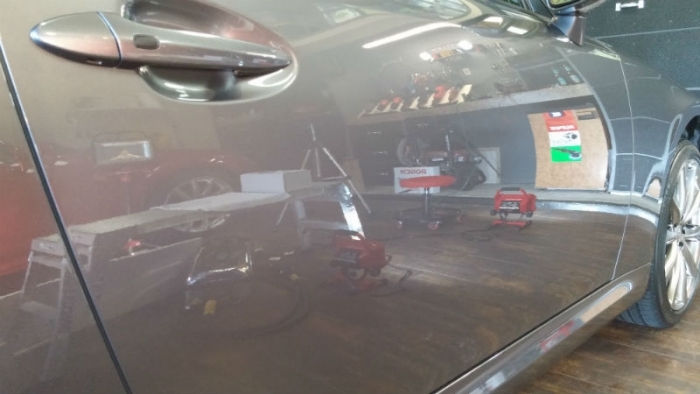 What�s more, Optimum Gloss-Coat is less prone to scratching and marring, making it easier to keep your vehicle swirl and scratch free. Optimum Gloss-Coat creates what is called a self-cleaning effect. Dirt cannot adhere to surfaces that are coated with Gloss-Coating, making it considerably easier to maintain the glossy, smooth finish of the coating. Your vehicle will stay noticeably cleaner in between washes. Optimum Gloss-Coat is easy to maintain. Simply wash your vehicle using Optimum Car Wash or Optimum No Rinse Wash & Shine. 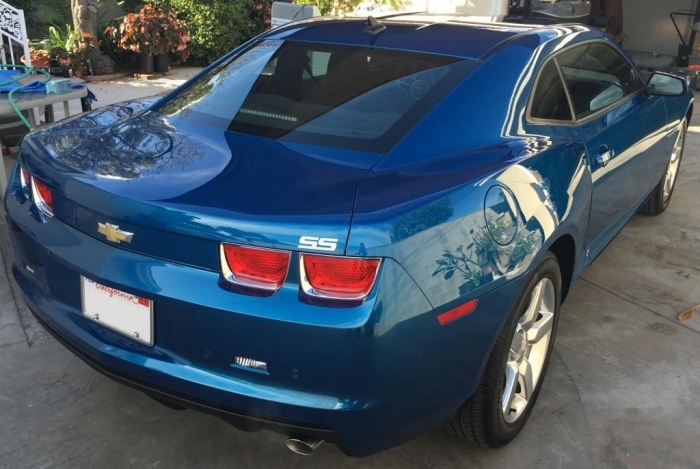 If you find nothing more relaxing than hand-applying a coat of your favorite carnauba paste wax to your vehicle, rest assured that you can continue this tradition because Optimum formulated Gloss-Coat so non-abrasive waxes and sealants will adhere. 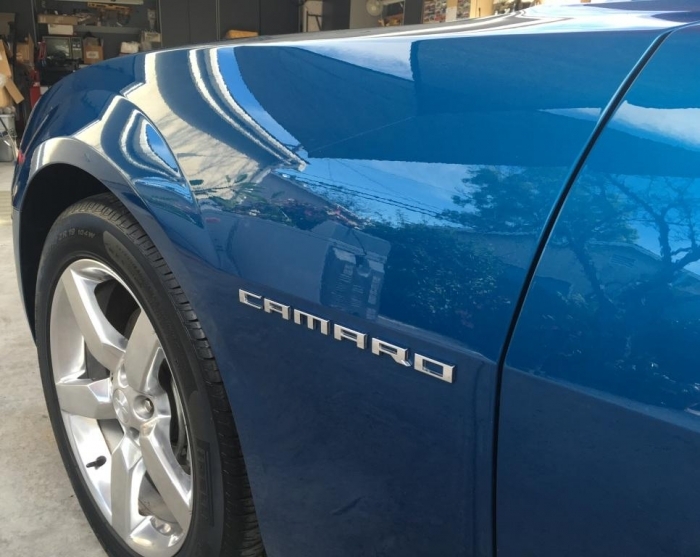 2.�Clean surface with 15% IPA solution to remove all polishing oils, waxes, and silicones. 3.�Prime the applicator by making an X pattern across the pad. Only a few drops will be needed for each subsequent panel. 6.�Use foam applicator or paint safe microfiber to even out any areas where you see streaks. This step is key, as any spots not leveled will have to be polished if allowed to cure. Panels will feel a bit tacky and will be self-leveling during cure time, so avoid any unnecessary touching, wiping, or contact to produce the best results. 7.�Repeat steps 1-6 for each panel where application is desired. i applied this to my 03 Sonic Blue Lightning, front bumper, roof, tailgate in 2013. 2014, it was still working as advertised. I remember one day in april 14, I-75 south of Atlanta, I hit a peice of rubber and knew immediately it messed up my front bumper, at 75mph anything kicked up in the road can and will ruin a car. I continued home, inspected this large area of rubber gash(lack of a better wording) and went at it with a light APC mix and low and behold, it was removed quite easily. I will not say everyone will have this luck but i sure did lucky and equate that luck to this product. I applied this to my fathers 04 Cobra in early 2014, it being 4/18 and his cobra garage kept and never driven in rain and truly a garage queen, as far as we can tell it is still there. Good product, easy to apply, must prep for it which isn't a pain. 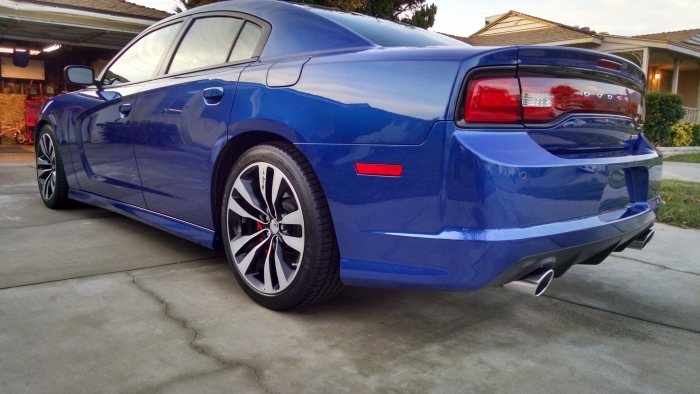 Great gloss and shine. Cannot comment on longevity yet but my rims clean up with shampoo and water and a quick scrub. Very easy to apply and watch for the flash and high spots buff off easily. You can put it on anything no need for separate wheel and trim coatings. ProsEasy to install Looks great. Beads and sheets water like crazy. 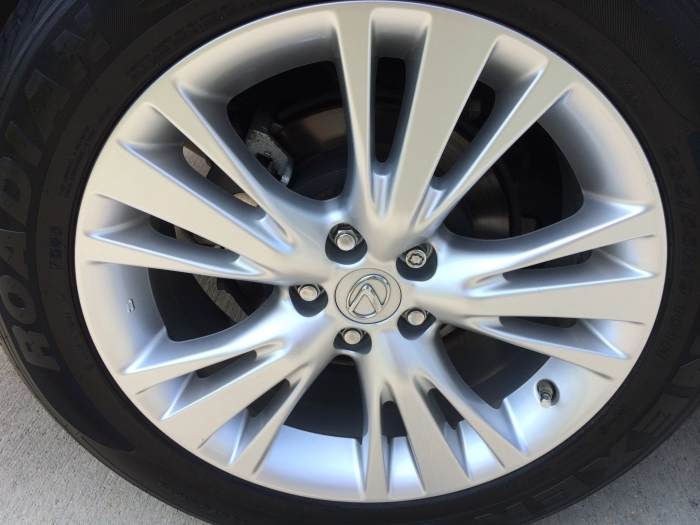 Cleaning rims is now a quick production Trim looks great and I have no use for trim dressings that need to be applied on a weekly or monthly basis. In line or cheaper then other coatings offering the same or less. Some coatings at the same price or higher are only recommended for paint. ConsDifficult to get the hang of what to look for when it comes to the flash and high spots but once you figure it out it's easy to work with. Great coating, super easy to apply. Just coated my second car with Gloss-Coat. If you are convened about the application, don't be. This is a VERY easy product to apply. 90% of the work is in the preparation...you want your paint in as good condition as possible as any defects will be coated over. Durability is excellent. I did my first car in November of 2016 and it is still looking great and beading water incredibly well. My only complaint is with the syringe and the screw in tip. You have to be super easy when dispensing the product or you will squirt more out than desired...and sometimes not on the applicator. At $50 for 10 CCs of product, you definitely want to avoid doing this. ProsEase of application, looks, durability. I purchased Optimum Gloss-Coat after doing some in-depth research online. I recently acquired a 2009 Subaru Outback Station Wagon that is going to spend most of its time in the driveway and was looking for a product that would withstand the elements and not require constant waxing to maintain the paints finish. I watched a few YouTube videos posted up by professional detailers on how to properly apply the product and went work. I prepped the car first by giving it a deep clay bar treatment and then by using a mixture of isopropyl alcohol and water on the surface. I applied the product in an enclosed garage with ample light. Time and time again, all the videos I watched urged to apply the coating as thinly as possible to avoid high spots. I took the advice and did a panel at a time with a constant watch for any areas too thickly coated. I believe I was pretty conservative since I still have about half a syringe of Optimum Gloss-Coat left. Overall, I am pleased with the way it came out. The surface feels smooth and I see no streaks. Only time will be the judge on how the product withstands the elements. In terms of looks and ease of application - YES! 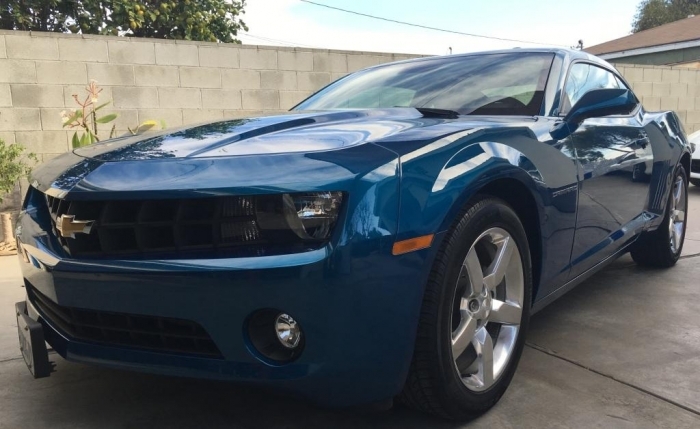 I applied the new formula to a 2010 Camaro. It is easy to apply. The syringe allows for good control of how much product is placed onto the applicator. I used it with the CarPro suede applicator and block instead of the provided foam applicator. I found it applied easier that way. I had 2-3cc's left over after applying two coats to the paint from the 10cc syringe I purchased. It flashes within a couple minutes making removing any remaining high spots easy to remove. It imparts a great look and slickness to the paint. ProsEasy to apply Syringe allows for good control of product used A little goes a long way Great slickness Great glassy look. 1) I found it went on easily and there was more than enough in the syringe for one car (Cayman GT4 - hood and fenders got 3 coats). 2) Looking for high spots within 15 minutes is easier said than done. Some high spots are visible from many angles or by using a torch, but others are pretty much invisible until you get exactly the right light (which might be the next day and too late). I found that I'd have to take the car out of the garage and into the sun occasionally to be sure I'd gotten everything. The application method I ended up veering towards was giving every panel a light wipe in 15 minutes... not just where I could see obvious high spots. 3) You can - on occasion - remove a high spot after more than 20 minutes but it takes a lot of rubbing, and you'd better have a pristine microfiber to avoid marring. This only happened to me in two small areas... I'm guessing you couldn't remove a huge smear that way. 4) I couldn't get any success with the included sponge other than soaking up lots of product. I used the CarPro applicator wrapped in the CarPro micro suede to good effect. 5) Applying to one panel at a time is easy... but at 20 mins a panel would take a LONG time. Doing multiple panels and going back to each before they hit the 20 minute mark is much more efficient, BUT more risky. You have to be very methodical and remember the timing for each panel (I suggest writing down the times for each panel on a sheet). Also, you can't be interrupted by the wife, neighbor, or whomever like you can with other products in case a panel 'ages out' or gets missed. 6) I'm not one for noticing significant differences in gloss with multiple coats of a product, but I felt there was a significant difference in this product between coats 1 and 2. Time will tell on durability, but very happy with the application. Very easy to apply this coating. The coating just melts into the paint and I barely had to level out any high spots. Use with Car Pro applicator block and micro suede's and you can easily do 2 coats on a full size car. Oh yeah, the gloss is amazing! Works great. Easy to apply. I didn't find any issues with high spots as I had read about a lot. I have used a number of other coatings, yet I always find my way back to Opti-Coat 2.0. My vehicle stays cleaner, longer and doesn't marr near as easily. The only negative I have about Opti-Coat 2.0 is that it is a little grabby when compared to others, but if you want to you can top it with a wax and will make it a little slicker. The positives of OC 2.0 by far outweigh the cons. If you are on the fence, don't go with anything else besides Opti-Coat 2.0. Not many things work da way the seller say they do, opti-coat do. I have a black 2007 elipse spyder and it made the black a much deeper black. Opti-coat 2.0 have been on my car for a week, I ran thru rain yesterday and the wind from driving blew the water and dust off. I'll update after a few months.